Iron sights have been lauded as the only sight you ever need and degraded to yesterdays technology depending on who you talk to. The military guys who trained using them swear you can hit anything to several hundred yards when properly trained. 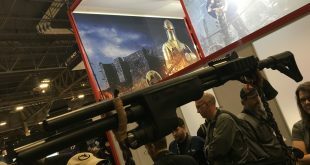 They go on and on about the availability of batteries in the wild or a SHTF scenario. Younger guys talk about the advantages of red dot sights and how with new technology battery time is not an issue. 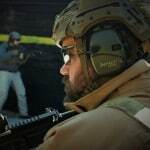 I know my Aimpoint boasts 2 years of run time. 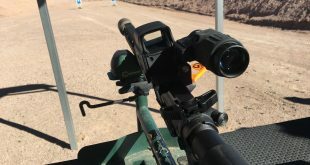 While I prefer a red dot to an Iron sight I keep irons on all my guns because glass can break, batteries can die and frankly I enjoy training with the most basic tools so I can operate any gun I come in contact with. I am running the Magpul Industries MBUS Generation II Sight Set Front & Rear. These are great sights to lay out of the way until needed. However the front sight post has given me a lot of trouble. I have had to move the front post way up to properly sight the target. Also the post is black and very thin. This makes finding it in lower light situations difficult. I had researched more expensive sights like Troy Industries Micro M4 Style Front and DOA Rear Folding Battle Sight and Diamond Front & Rear Blk which were better but cost prohibitive. Blitzkrieg Components the makers of the Chevron Front Sight Post have come up with a way to inexpensively and easily upgrade any front sight. 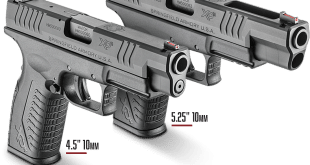 This post will work with all the above mentioned front sights and can fit on any other sight that will accept a standard front post. 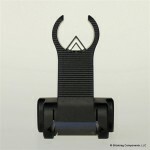 Fits into any AR-15 Front Sight Housing that uses a standard threaded post – Any Mil-Spec fixed front sight gas block or aftermarket front sight housings made by companies such as Troy, Daniel Defense, Diamond Head, PRI, Magpul, Mid West Ind, Samson, GG&G, YHM, and any others that use the standard AR-15 post design. Fits Magpul MBUS, but not the new MBUS Pro. 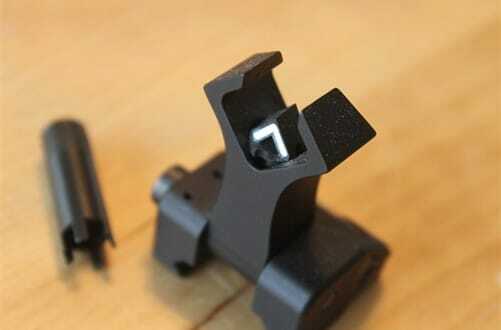 Does not fit LWRC Skirmish sights due to 11 o’clock position of detent. Includes Front Sight Post and Sight Adjustment Tool and is billet machined from 303 stainless with a melonite finish. The 45 degree angle with the bright white strip naturally brings your eye to the point of the post. This allows for fast acquisition on any type of dark-colored target or in low light conditions. This natural focus point becomes easy to acquire and allows for quick follow-up shots as your eye does not stray from the point of the chevron. Here is a short video from the manufacturer. Installation is super easy. The kit from Blitzkrieg comes with both the post and the post adjustment/installation tool. It is important to not that while you can use the front sight tool from Blitzkrieg to remove your existing post you can not use a standard sight tool to install the Blitzkrieg Chevron. Due to the shape of the chevron you will need the specific tool sent with the kit to install it. As you can see it is so very simple to do this. I think taking out my old one and putting in the new took only 5 minutes at max. As a stand alone iron sight upgrade the Chevron works very well. It was easy to pick up on and sighted in just like a typical post. I found myself to be more accurate with this post due to the size and the clean pointed tip. YMMV and this is more a testament to how bad I can be with irons as how good this really is. Check out these great images of how the post looks in the top brand front sights. I love a quality red dot. 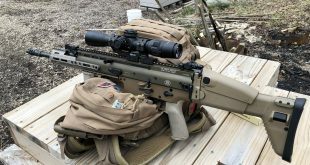 The Aimpoint PRO is what I am running though I have shot and enjoy the Eotec’s. The Chevron post really excels in a co-witness environment. Keeping my front sight up it allows me to get used to an iron sight picture even when relying on my red dot. Training with both I get confident and competent with either in the same amount of time. It was very difficult to get the camera to properly focus on this but here is my attempt at a shot of what a co-witness looks like. As you can see the Chevron even in this low quality image pops nicely. If you want a front sight that is easy to acquire and works in very low light conditions without breaking the bank this is a great option. If you really love the quality of the sights you have now but want the front post just a bit more visible than this and it is a low-cost way to upgrade. I am not a fan of a ton of upgrades and gadgets on my guns. While I review many products very few make it onto my primary rifle. The Chevron front site by Blitzkrieg is one of those few items. It ads almost no weight, has a large advantage with target acquisition and I have yet to find any drawbacks. The price point is a huge advantage as well. You can buy the sight here: http://www.blitzkriegcomponents.com/ for $39.95 with the front sight tool.